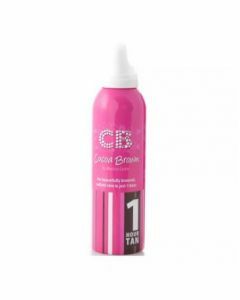 Cocoa Brown 1 Hour Tan is a revolutionary, express, self-tan mousse that develops into a beautiful, natural-looking tan in just 1 hour! Exfoliate and moisturise your skin daily in the lead up to your tan application. It is recommended that you wait until day 2 or 3 after your tan application before you begin applying body moisturiser. Sometimes if you moisturize your skin too early, it can cause the tan to fade too quickly. If you want your tan to be very dark then apply Cocoa Brown for two consecutive days. 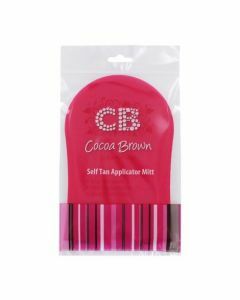 Always apply Cocoa Brown with a Tanning Mitt for best results. Never apply fresh tan to skin that still has remnants of old tan on it because it will result in an uneven, patchy tan. It is advised that you do a patch test your skin by applying a small amount of tan to the inside of your arm two days before you plan to use Cocoa Brown for the first time just to make sure you’re not allergic in any way.